Every year, like thousands of university students across the UK, Tom Wills fills out a questionnaire asking students to rate their courses. Universities and tutors, he says, do these to suggest that they are listening to students, but he believes that higher education managers have a warped view of what students want when it comes to the curricula. "The biggest problem is the enormous class sizes," he says. "My lectures range in size from 15 to 150 students and it makes all the difference being in a smaller group where you can interact with the lecturer. There is also a trend towards standardizing curricula, but I think courses are much more engaging when they are informed by the lecturer's own academic specialisation." While the majority of students see lecturers as passionate about their subjects and confident in their students, some higher education experts say that lecturers regard syllabi as annoying typing exercises and begrudgingly crank out lists of topics, readings and exams. Experts warn that a good syllabus is the organisational backbone of a course, and a lecturer's first line of defence in disputes over policy, grading and procedures. A wider "curriculum" and perspective on pedagogical design and delivery is more important than a narrow and isolated focus on modules. A tutor's syllabus should spell out what he expects from students, why those expectations have been set, when a piece of work is due back and what happens if students failed to comply. The more you put into your syllabus upfront, the less explanation you will have to do later in the academic year. Talented and dedicated teaching staff are the norm in many universities. Experts, however, want to see increasing collaborations between subject and course teams, as well as interaction between those in charge of such specialised areas as educational development, careers and student development, learning developments, library services, CETLs and learning technology specialists. Others point out that the first thing to do is to consider the resources to produce a curriculum or syllabus in these tough financial times, and that we should not forget requirements by professional bodies such as the General Medical Council. Digby Warren is a learning, teaching and curriculum developer at London Metropolitan University. He believes that curriculum design should go beyond a subject's content - theories, concepts, principles and facts - and make explicit the processes by which disciplines define, explore and solve problems, and communicate and evaluate knowledge. "This is achieved through teaching, learning and assessment activities that both model and actively engage students in developing critical thinking, information literacy, reading, writing and communication skills, which are essential 'processes of knowledge' in the subject," he says. Mr Warren proposes a three-dimensional approach in which skills are embedded as "process knowledge" in subject-based teaching, learning and assessment. "Semi-integrated models of provision allow space within curricula for assisting less-prepared students to develop fundamental skills," he says. "In addition, further individual help remains through forms of academic support congruent with discipline-specific needs." For Duncan McCallum, the deputy academic secretary at the University of Cambridge, a good curriculum is one that engages and challenges the student. He says: "As far as we are concerned, as you progress, it puts you in touch with leading academic research by our staff." In developing the curricula, Mr McCallum points out that Cambridge takes a two-pronged approach. "As subjects develop, we take into account different levels of knowledge among our intakes and for every subject we incorporate new developments," he says. "For example, work in our physics department may link to work in our biology department, which wouldn't have existed four or five years ago." Rethinking the syllabus and the curricula is also a way to consider the needs of increasing numbers of non-traditional students from within the UK. Experts warn that the curricula should not make working class British students feel out of place in what could be perceived as an essentially middle-class environment. Just as universities are reaching out to students from the working class and poorer homes, the key question about curricula expansion is whether it reduces inequality by providing more opportunities for persons from disadvantaged areas, or increases inequality by expanding opportunities disproportionately for middle class students. Experts advise that the curricula should consider the need to respect working class students and their background, with a view to developing their sense of "ownership and agency" as lifelong learners. London Metropolitan's Mr Warren says: "We should note that these students are not entering the system with the conventional middle-class liberal education on which, historically, university has rested." Experts also point out that the old curricula design may not work with the Internet generation now entering higher education. They say that today's 18 year olds know less than teenagers of ten years ago because of changes in secondary school curriculum. But Mr McCallum warns that it is impossible to cater for every group. "What we need to look at is not so much content but the way we deliver it," he says. "Kids are more skilled in information technology and the internet. We need to ask 'do I do it face to face in a lecture hall, or do I do it in electronic handouts'?" For others, however, content is still the king. And as British universities and higher education in general become increasingly international, with studies suggesting foreign students contribute £3 billion to the British economy, many tertiary education watchers say a lecturer's syllabus should provide a more globally conscious educational environment which would benefit home and overseas students alike. They also suggest that these reviews must be done in the wider context of students' overall university experience. For example, avoid saying things such as "Asians are...." Or "In Africa...."
Some claim that their curricula are internationalised, but this is not always the case. The idea is more than simply offering case studies from other countries or having an international reading list. An example of a more effective approach would be to consider how such programmes develop students' inter-cultural communication skills. Students could also be helped to become effective managers in the global workplace where staff may come from diverse cultural and national backgrounds. Leeds Metropolitan University has developed guidelines for curriculum review to support all subjects in helping to develop what it calls "cross-cultural capability and global perspectives." Elspeth Jones is dean of the Leslie Silver International Faculty. She believes a good syllabus for international students is also good for UK students. "Internationalisation can be a powerful force for change and can enrich the learning experience of equally for home and international students," she says. "It enhances employability skills and provides opportunities to become better global citizens." Prof Jones may be right: international engagement through study abroad or exchange programmes, work placements, study tours or volunteering has been shown to increase employability skills and transform lives. On the other hand, some experts cautioned against "over-internationalisation" of the curricula as some students may feel that they are not receiving the British education they had paid for in the first place. Many university administrators and academics, however, see internationalisation as a good thing, and that curricula need to reflect this and other changes in academia. Prof Jones points out that internationalisation is an emerging field which universities should be taking seriously. 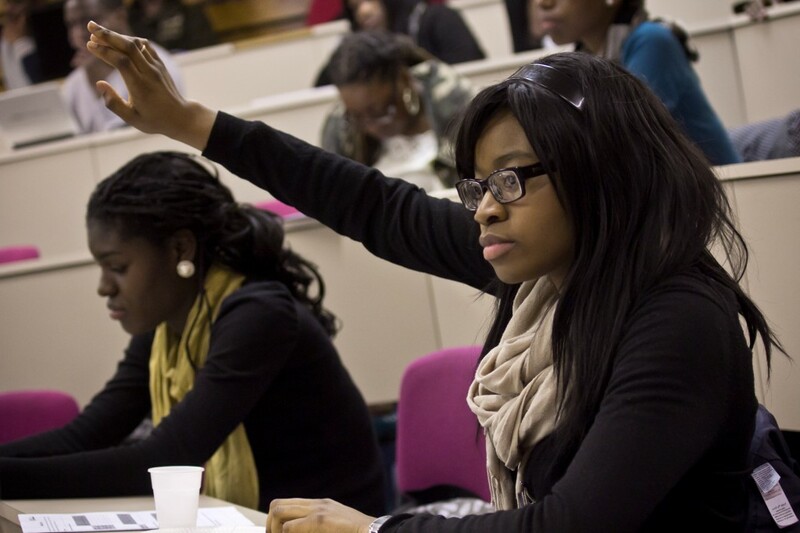 In her opinion, internationalisation of universities is closely linked to other agendas such as widening participation and welcoming students from all backgrounds, including from diverse cultures, religions and ethnic backgrounds within the UK. "Internationalisation within the UK is equally important and can offer similar impact if both the formal and informal curriculum are appropriately internationalised, and the contributions made by students from other countries and those from different ethnic and cultural backgrounds are embraced," she says.